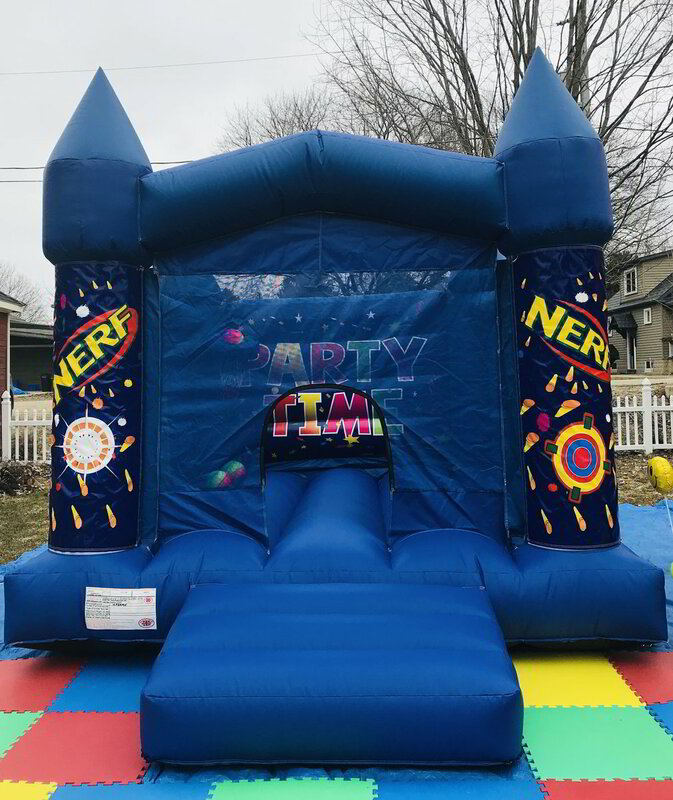 This Nerf themed bouncy castle can accommodate up to 7 small children, and up to four older children. It has a basketball net in the rear corner for extra fun! Pairs well with our Nerf Target Shooter game. The Nerf Target Shooter game in the last picture is for demonstration purposes only, and can be rented together with the Nerf bouncy castle for a package discount.